I needed a festive dip to take with me to a friend’s house, so I pulled out the recipe for my old friend, sun dried tomato dip (courtesy of Ina Garten). The dip originally appeared in my Labor Day Potluck Dinner post. 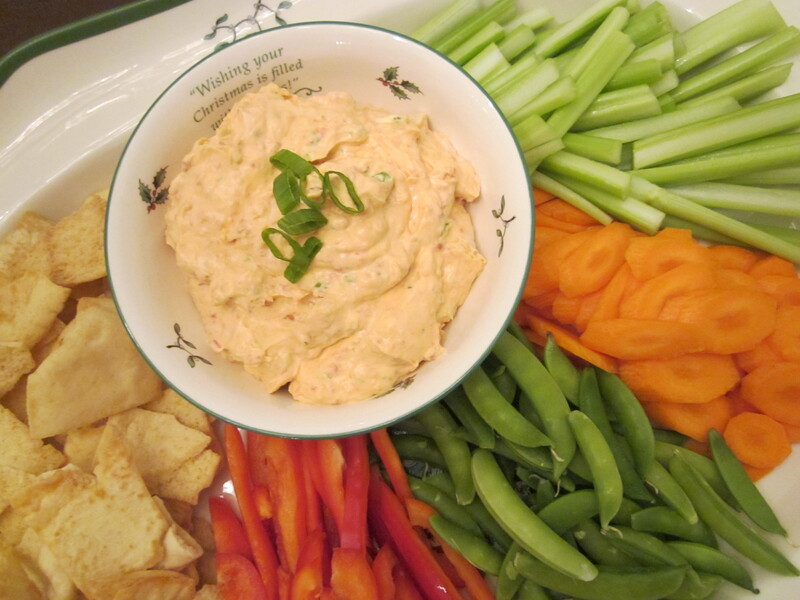 After assembling the dip and the veggie tray, I realized how perfect this dip is for the holidays. The dip is a pinky red color, and I used several red and green raw vegetables. The finished product is quite merry and bright. Need a quick bite for family members who will be milling around your house for Christmas or something tasty for football viewing? Sun dried tomato dip has got your back. Happy holidays and happy dipping readers! 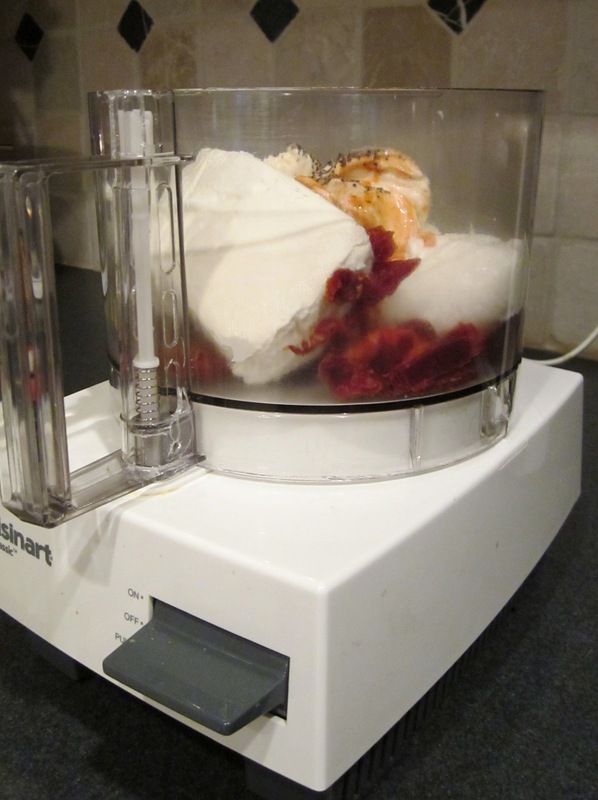 Puree the tomatoes, cream cheese, sour cream, mayonnaise, hot sauce, salt, and pepper in a food processor fitted with a metal blade. Add the scallions and pulse twice. Set aside a pinch of scallions to garnish the top of the dip when serving. 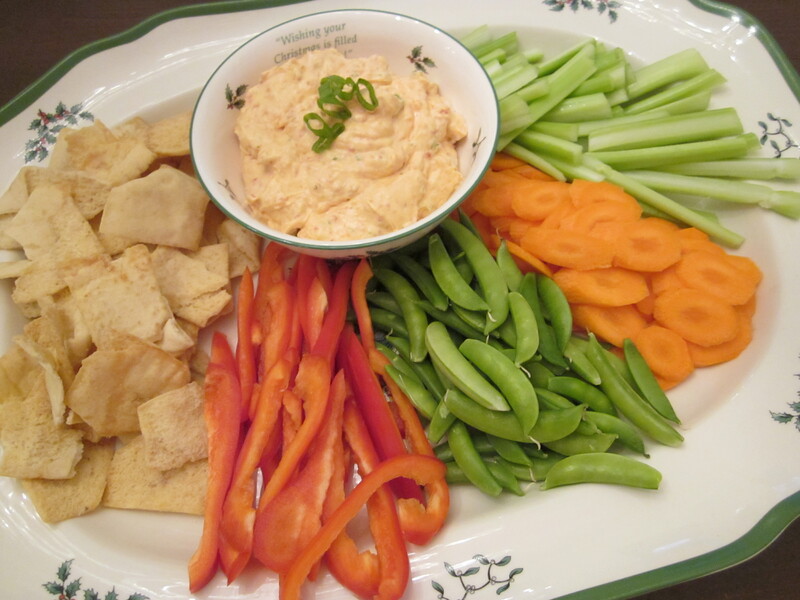 Serve at room temperature with sugar snap peas, celery sticks, carrot sticks, pretzel sticks, pita chips, etc. Make sure cream cheese is at room temperature to get the ingredients to blend together smoothly. 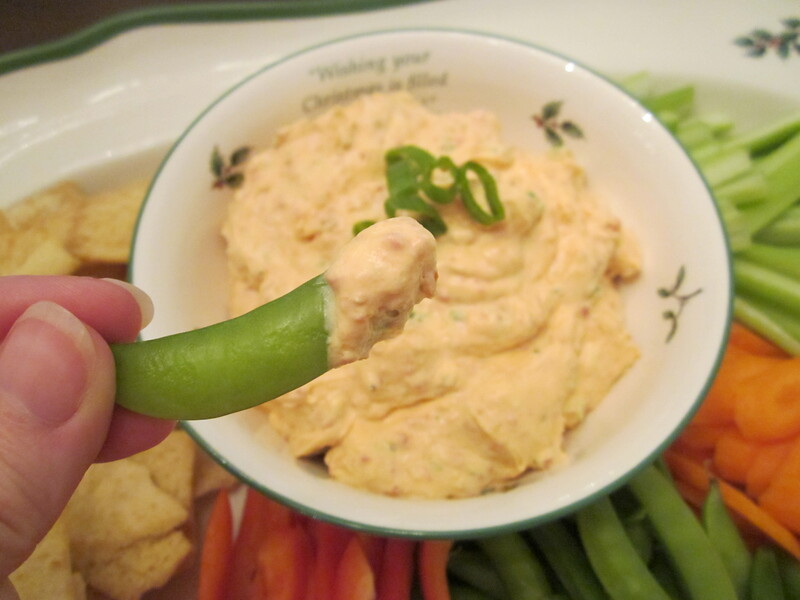 Sugar snap peas are my favorite raw vegetable for this dip. Pita chips and Snyder’s pretzel dipping rods are my favorite cracker-y vehicle for getting this dip to your mouth.